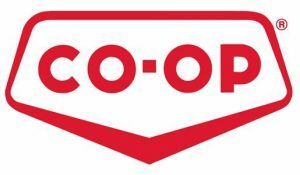 Canada’s Premium Ceramic Filter Cartridges for over 60 years! 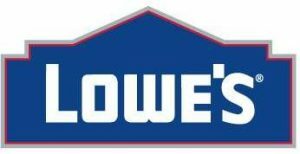 Categories: Ceramic filter cartridges, FILTER CARTRIDGES. Not all models are available at all locations/retailers. If you questions regarding availability of a particular model, please call your local store or Rainfresh support. Rainfresh ceramic water filter cartridges are very fine micro-filtration cartridges that are designed to remove coliform and other pathogenic bacteria (such as E. coli), parasites, cysts and fine particles down to 0.3 micron . This makes them an excellent choice for use with untreated waters such as lake, river or well water to deliver clean, safe and pure drinking water. Rainfresh ceramic water filter cartridges offer unparalleled performance in the production of safe drinking water. Independently tested, they remove > 99.99999% of harmful bacteria and >99.95% of protozoan cysts (such as Cryptosporidium & Giardia). These levels exceed the removal parameter levels for bacteria and cyst from the U.S. EPA Guide Standard and Protocol for Testing Microbiological Water Purifiers. chlorine , taste and odour. Rainfresh ceramic water filter cartridges are cleanable and re-usable up to a 100 times, making it an economical and environmentally friendly product. 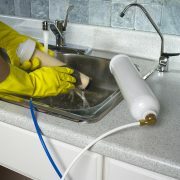 Reduce > 99.99999% bacteria including E. coli and bacteria that cause diseases such as typhoid, cholera, dysentery etc. Rainfresh 1M ceramic cartridge is designed for use with Rainfresh UCS2, UCS3, FC000/1M, UC000/1M and CT1M Drinking Water Systems. Not designed for use with other systems. Also for use with Rainfresh DS2 and DS3 Drinking Water Systems if double O-ring adapter is replaced with DS2 adapter. What are Ceramic Water Filter Cartridges? 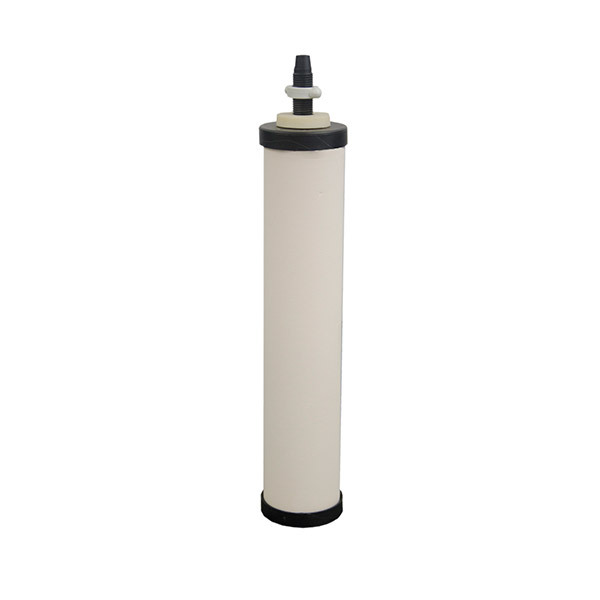 Ceramic Water filter cartridges are very fine micro-filtration cartridges that are designed to remove coliform bacteria (such as E. coli), parasites, cysts and fine particles down to 0.3 micron absolute. 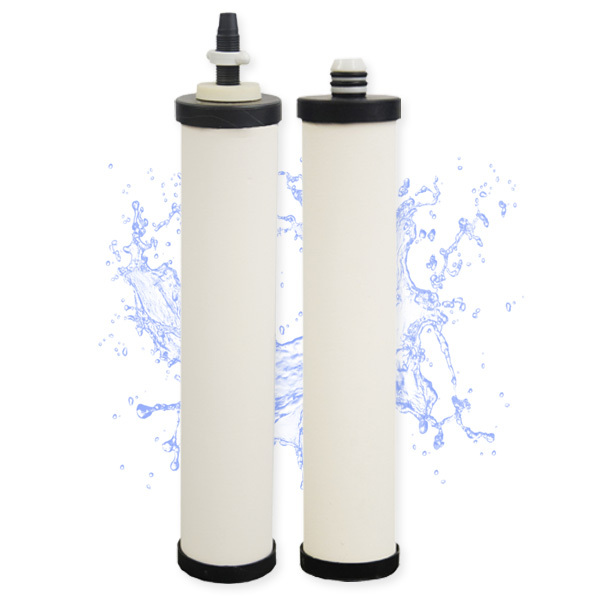 Ceramic water filter cartridges are cleanable and reusable, making them an excellent choice for use with untreated waters such as lake, river or well water. Are all ceramic cartridges the same? Not at all. Rainfresh ceramic water filter cartridges are manufactured in Canada to exacting standards and have a micron rating of 0.3 micron absolute – the tightest ceramic cartridges in the world!!. What’s more – they are certified to the highest industry standards – NSF/ANSI 53 and 42, which include testing for material safety & performance. 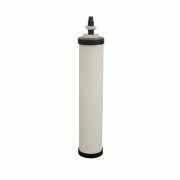 Our ceramic water filter cartridges are designed for use with Rainfresh water filter systems only. For custom configurations, or for use with other systems, please contact us. Rainfresh ceramic water filter cartridges are very fine microfiltration cartridges that are designed to remove coliform and other pathogenic bacteria (such as E. coli), parasites, cysts and fine particles down to 0.3 micron . 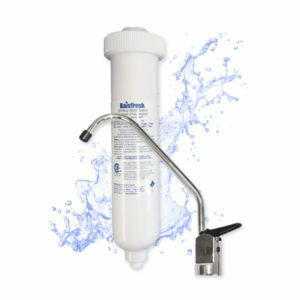 This makes them an excellent choice for use with untreated waters such as lake, river or well water to deliver clean, safe and pure drinking water. A cyst is a resting stage of a parasite that helps it tide over unfavourable environmental conditions. When the parasite reaches favourable conditions (such as the human intestine), the cyst wall breaks and the microbe causes illness. Commonly known cysts are Giardia Lamblia and Cryptosporidium. They are present in stagnant waters such as dug wells, lakes, ponds and other surface waters. Cysts cause illnesses such as Giardiasis (commonly called Beaver Fever), stomach cramps, fever, diarrhea, etc. 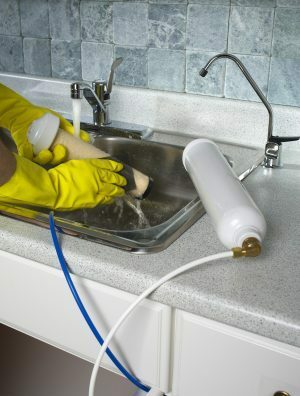 Cysts are resistant to chlorination, the most common disinfection method used by municipalities. As such, it is possible to have cyst contamination even in chlorinated (municipally treated) water supplies. Physical removal of cysts from water by filtration is the most effective way of preventing illnesses from cyst. Rainfresh Drinking Water system 1, 2 and 3 are tested and certified for reduction of cyst from water. A micron , also called micrometer, is a unit of measurement. 1 micron = 1/1000 mm (1/25,000th of an inch) is denoted by the letter µ. Average human hair is about 75 micron in diameter and coarse dirt is about 40 micron . In filter cartridges, a micron rating refers to the smallest particle size in micron s that the filter cartridge is capable of removing. For example, a 30 micron cartridge will remove particulates as small as 30 micron while a 5 micron filter cartridge will remove particulates as small as 5 micron . The lower the micron rating of the filter cartridge, the tighter the filter and the smaller the particle size it can remove. For sediment filters, generally a “nominal” rating is used, meaning that a high percentage of particles of the rated size are removed. An “Absolute” rating means that >99.99% of the particles of the rated size are removed. Rainfresh ceramic cartridges have a 0.3 micron absolute rating, meaning that they remove > 99.99% of particles as small as 0.3 micron .